provide the best hospitality experience for your guests. Let Kleenerly take care of all your short-term rental turnover needs. We provide all the services to guarantee a seamless turnover so you can sit back, relax and watch the 5-star reviews come in. No need to manually check on your reservations to book us. We sync with your Airbnb/ Homeaway Calendar or your Property Management Software and automatically assign our team to take care of your turnovers on the day of check-out or before your next guest checks in. KLEENERLY takes the hassle out of turnovers and delivers a worry-free experience to hosts. We understand the short-term rental industry really well and we are aware of last minute instant bookings, requests for early check-ins or late check-outs with a back-to-back reservation on the same day. We are no superheroes, but in 99% of the cases we are able to bend in all different directions to accommodate last-minute requests and schedule changes. hotel-like cleanings as well as staging; and finish every turnover with our “signature hospitality touches” to create an even better experience for incoming guests. We offer all the services to help you provide the best hospitality experience to your guests. KLEENERLY is operated by Hosts with a strong background in short-term property management. No other individual or cleaning services provider will understand you and your business like we do. KLEENERLY CARES! We have our hearts in the right place and care a lot about every one of our hosts, properties and guests. We will make you feel like our turnover specialists, inspectors and hospitality agents are your in-house team, but without the hassle of training and managing them, the time spent coordinating with them, the risk and the high costs. Have full piece of mind - we are insured and our team members are covered under workers comp. Yes, you read that right - essentially you don’t have to spend one single dollar on us. If you set your cleaning fee on Airbnb or Homeaway accordingly, then your guests directly pay for our services. This makes it a pass-through cost and you keep 100% of the revenues from your bookings. We automatically bill on a bi-weekly basis. You’ll receive an email with an online invoice showing all of our provided services of the past two weeks and you can pay directly online with just 2 clicks. Defining the new standard of "guest-ready"
As hospitality experts and experienced Vacation Rental/ Airbnb operators ourselves, we understand the needs of our clients as well as the expectations of their guests. 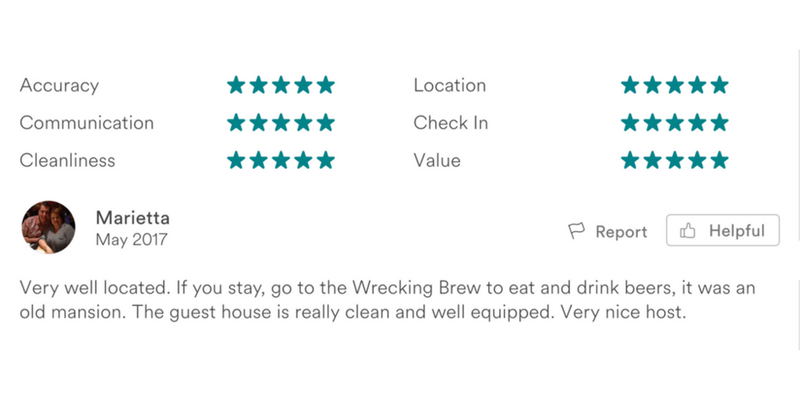 We know that the perfect cleaning, set up and presentation of your rental plays a huge part in the experience of each visitor and that every 5-star review on your place's cleanliness or overall appearance contributes to an increased number of booking inquiries. You most likely already have one or two sets of sheets per bed and a good amount of towels. If that is the case we offer to wash and dry all the soiled items using either your in-unit washer & dryer, your building's laundry room or a nearby laundromat. If your linen is not in absolute top shape anymore or you want to switch to high-quality white linen to give your guests more of a high-end hotel feel, we also provide the option of renting our linen for an extra charge per turnover. Either way, we make sure your guests notice the feel and smell of a fresh bed with clean sanitized sheets and towels. Kleenerly is here to make sure that your guests are highly satisfied not only with the cleanliness of your place, but with the overall hospitality experience. This includes providing certain perishables like coffee, tea, sugar, olive oil etc., as well as standard items like toilet paper, paper towels, trash bags and toiletries. It is also important how you present your place and everything you provide. From the smallest detail of setting up the toiletries on the bathroom counter, how you hang or fold the towels and place them on the bed, the proper pillow arrangement, how you present the supplies and perishables, it's the way you put dishes and glasses in the kitchen cabinet to even the way the toilet paper fits in the holder. It's these small things that present you as a host who cares in providing a place that feels like home to your guests. We want to get to know you and your rental and learn about your exact needs and expectations before we get started. We are well aware of the fact that a short-term rental turnover cleaning is very different from an average home cleaning. For that reason we created an extensive Onboarding Form based on our experience managing vacation rentals ourselves, to gather the necessary information to put in our system. This allows us to deliver a perfect and smooth turnover based on your exact needs and expectations. No matter which of our well-trained housekeepers is performing the cleaning and turnover service, they will deliver exactly what you ask for. Forming strong relationships that are built on trust is one of our most important company values. We want you to get to know us so you feel great working with us and comfortable giving us access to your property. Therefore we offer an initial phone call and/or in-person walkthrough, where you can meet one of our team members and discuss all details of your place. Clean dishes and check for cracked plates, etc. Clean toaster, coffee maker, hot water kettle, blender etc. Sanitize the telephone and remote controls. Dust and clean picture frames, artwork, bookshelves, lamps etc. Follow us on Twitter to get tips, how-to's, industry news and more! Copyright 2016 - 2019 Kleenerly.com. All Rights Reserved. a company not affiliated with KLEENERLY LLC.